Iraq’s government has ordered a four-day weekend and urged citizens to remain indoors and drink plenty of water as an extreme heat wave rolls through the region. Temperatures on Thursday reached 52C (125.6F) and are expected to remain above 50C (120F) for at least the next week. 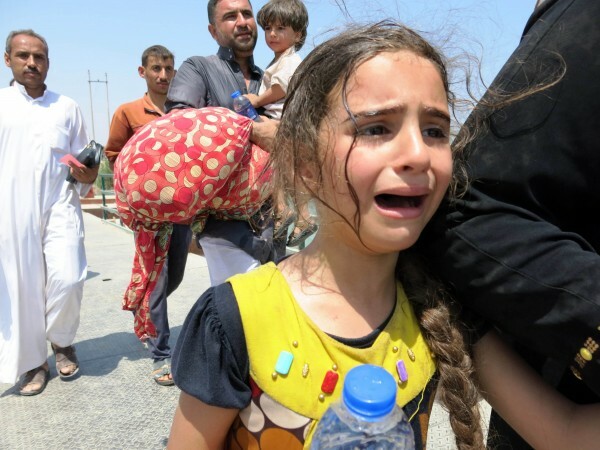 The government order comes as some three million internally displaced Iraqis fleeing the fighting between militias and the Islamic State (ISIL) are forced to find water and ways to cool off in makeshift camps throughout the country. The consistent power and water outages since the US invasion in 2003 exacerbates the impact of the heat wave on the young and elderly. Raad Al Dahlaki, head of the Iraqi parliament’s Committee on Immigration and Displacement, told Kurdish media that at least 52 children had died in refugee camps in the past week. “After the deaths of these children due to high temperature of 50 degrees Celsius, the government is trying to provide 24-hours electricity and coolers for refugees to save them from heat waves of summer,” Al Dahlaki told Erbil-based Kurdish weekly Rudaw. On July 20, the UN warned that “Iraq is now contending with one of the largest humanitarian crises in the world, with over 8 million people in need of humanitarian assistance”. But severe lack of funding has forced the UN Office for the Coordination of Humanitarian Affairs (OCHA) to shut down critical assistance programs to these refugees. “Provision of an effective [water, sanitation and hygiene] WASH response across the country remains severely constrained by lack of funding. 28 per cent of WASH programmes have already closed due to lack of funding,” an OHCA report said. OCHA says it has received less than six per cent of the $95 million needed to fund its humanitarian assistance programs in Iraq. It also warned that nearly all humanitarian health programs will be terminated by October 2015 if it does not meet its funding target. Last week, demonstrators protesting the lack of electricity clashed with police in the southern Iraqi city of Basra. One protester was killed when a gun battle broke out between protesters and security forces.